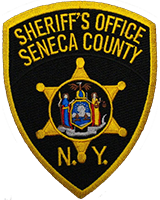 On August 11th, 2018, at approximately 6:30 PM, Seneca County Sheriff’s Deputies responded to a report of a rollover Personal Injury Motor Vehicle Accident in the area of Yost Road north of Zwick Road in the Town of Fayette. After investigation, it was found that a truck had been traveling northbound on Yost Road when the driver lost control of the vehicle heading off the roadway and flipping end over end. The driver who was identified as Joshua Szymanski, age 22, of 2772 Ovid Lodi Town Line Road, Ovid, New York, and the passenger, Jesse Wickham, age 24, were treated for minor injuries on scene and refused further medical treatment. Other passengers, Megan Waite, age 33, of 4870 Route 89, Romulus, New York, and David Denton, age 26, of Moravia, New York, were transported by ambulance to Geneva General Hospital and Strong Memorial Hospital for minor injuries. After further investigation, it was found that alcohol had been involved and played a role in the accident. The driver, Joshua Szymanski, was charged with DWI, Aggravated DWI BAC % greater than .18, Failure to keep right, and not wearing a seat belt. Joshua was released on appearance tickets and is to appear at the Town of Fayette Court on 09/19/2018 at 7:00 PM to answer the charges. The New York State Police, Fayette Fire Department, North Seneca Ambulance, and South Seneca Ambulance also responded to the scene. The Seneca County Sheriff’s Office along with the Seneca County Emergency Management Office has updated the status of the State of Emergency to include a Mandatory Evacuation for all residents of the Lodi Point Area. Emergency crews are currently evacuating residents by boat and taking them to a shelter at the Ovid Federated Church on Main St in Ovid. Residents in need of emergency assistance are to call 911. Effective immediately, Seneca County Sheriff Tim Luce and the Seneca County Emergency Management Office has declared a State of Emergency for the Towns of Covert, Lodi, Ovid, and Romulus. This includes the Villages of Interlaken, Lodi, and Ovid. Heavy rain has caused major flooding in those affected areas. Many roadways are now closed and no unnecessary travel is advised. Emergency crews are working diligently to assist citizens. Citizens are urged to shelter in place and move to higher ground if they are experiencing high water.